Here is a picture of my newest addiction! I swear to you it is the best stuff since sliced bread (and they go deliciously together). 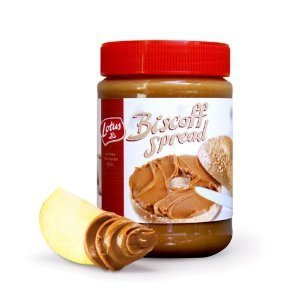 Biscoff spread is apparently Belgium's version of peanut butter and let me tell you that country is on to something. You can eat it on toast, bagels, apples, a spoon...it is that good. Try some today! They also make Biscoff cookies, but I have not tried those yet (I do not feel the need to rush off and gain 50 lbs).